In the United States and much of Western Europe, government data, such as economic indicators, government budgets, and agricultural information, is available to the public under freedom of information laws. While this data is not always accessible via bulk download in machine-readable formats, individuals can usually request and expect to receive it. In the United States and much of Western Europe, government data, such as economic indicators, government budgets, and agricultural information, is available to the public under freedom of information laws. While this data is not always accessible via bulk download in machine-readable formats, individuals can usually request and expect to receive it. However, in some post-Soviet and East Asian states, many relatively mundane government data sources are forbidden to be released publicly under state secrets laws. This presents a major obstacle to data-driven innovation in these countries, even over and above the ordinary cultural and administrative obstacles found in the West. Many of these countries adopted state secrets laws during the Cold War to curb espionage, but these laws have become increasingly inconvenient as data analysis technologies have become widely available, leaving many seemingly prosaic datasets inaccessible to public inquiry. For example, in some countries, government-produced maps that exceed a particular level of precision have historically been considered confidential. Although this has begun to change in recent years as pervasive satellite technology has reduced the competitive value of maps, cases against individuals who transmit map data continue to crop up. In Russia, for example, a retired Defense Ministry official was sentenced in 2012 to 12 years in prison for selling topographical images. In China, everything from soil pollution data to incidents of police brutality has been classified as a state secret, and Chinese government officials have broad discretion over what sorts of data fall under state secrets provisions. While the country amended its state secrets law in March 2014 to forbid officials from classifying public data as secret, researchers at the Chinese Academy of Social Sciences have argued that the law’s enforcement provisions are still vague and give officials carte blanche to decide that information is secret, regardless of its strategic or military value. A similar problem exists in Mongolia, where authorities have been documented abusing laws that allow most government documents to be classified as state secrets. China does offer some open data—including information on air quality and earthquake data released through data portals for Beijing and Shanghai, as well as through the National Bureau of Statistics—but the quantity and range of data sources is still limited. In Russia, information on mineral resources such as oil and gas is classified as a state secret; although mining companies can obtain licenses for handling such data, Russian authorities are empowered to supervise how the data is managed. In that county—as well as countries such as Georgia, Armenia, and Azerbaijan, which have adopted language similar to that used in Russian legislation—authorities have broad discretion to classify information as secret. Economic information, as well as data on natural resources and crime can all fall into this category. While some types of data are officially prohibited from being classified as state secrets, and there have beennumerous documented cases of journalists being denied access to supposedly public data or ignored due to official discretion. Although Russia has made considerable progress in releasing open data in recent years, including President Vladimir Putin’s commitment to the G8′s Open Data Charterin 2013, independent auditors have found pervasive errors and evidence of tampering in federal and local data releases. 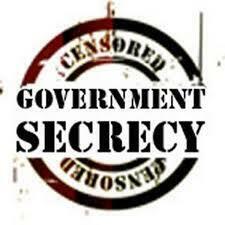 Elsewhere, state secrets laws have been used to prevent inquiry into government more generally. InMalaysia, for example, authorities arrested a journalist for writing that a state sultan’s guards had threatened him. The arrest was justified under the country’s 1972 Official Secrets Act, which permits certain public officers to deem any information an official secret and outlines harsh penalties for individuals found to have made such information public. While this case did not hinge directly on a large-scale data release, it is difficult to imagine opening government reporting or other accountability data in such a climate. The economic and social benefits of opening more government data in these countries could be profound, but before they can enjoy the resultant gains from innovation and civic participation open data could bring, they will need to distinguish what really constitutes a state secret from what may simply be inconvenient or embarrassing information to release. This may require changes in government culture and leadership in these countries, but open data advocates worldwide can strengthen the case for repealing state secrets laws with examples of open data’s successes in other countries.